We’re here to keep the grounds of your business looking great, which helps you attract customers. Well-kept grounds send a message that close attention to detail is one of your company’s key values. Some businesses try to manage their own landscaping needs, but all too often, this leads to unsatisfactory results. It also isn’t the best way to manage your human resources — after all, your customers are the ones who need your employees! Outsourcing your property maintenance needs to us is a wise business decision that can pay dividends. The way your business looks to customers makes a major difference in how it’s perceived. Keeping your property well-maintained is a powerful marketing tool that attracts customers, and our high standards makes us the ideal choice for commercial landscaping in southeast Calgary. Thanks to our experience and expertise, we’re able to avoid the mistakes lesser landscapers make, such as damaging tree bark with a weed whip or by passing too close to the trunk with a lawnmower. This is a telltale sign of poor workmanship, and it can lead to diseases and pest infestations. Does your current landscaper take the time to remove trash and debris from your lawn before mowing it? Have you noticed problems like chips in your pavement, sidewalks, bricks or benches? If you’re seeing confetti in your lawn or noticing minor damage to your property after your landscaper’s visit, it’s time to make the switch to a company that works harder to make sure your property looks its absolute best. 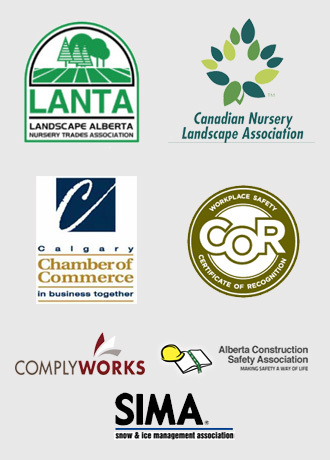 In the Calgary area, you’ll need your landscaper more at certain times of year. Lawns tend to grow in quicker spurts early in the season, and come autumn, you’ll need all hands on deck to keep falling leaves, branches and other debris from cluttering up your grounds. We have the flexibility and manpower to schedule more frequent service during these times. We also make sure that you get what you pay for. 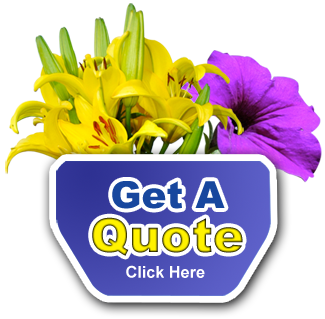 It might be possible to find another landscaper willing to undercut our price quotes, but we deliver value for your investment. The reason we’ve been so successful for so long is that we provide excellent service and top-notch workmanship at fair prices. Keeping our customers happy is what we do best! We’re also experts at laying new sod and planting new trees and shrubs. These tasks require a knowledgeable touch, and so do key seasonal maintenance tasks like aeration and fertilizing. Don’t take chances! Instead, put your trust in our professionals. To see some of our past work, be sure to check out our gallery. Commercial Landscaping in Southeast Calgary: Get a Free Quote Today! We’ve priced our services so they’re accessible and affordable to businesses that want the best local landscaping company on their side. If you’re looking to price out a specific service or regular maintenance package, please get in touch with us and we’ll happily provide a fast, no-obligation quote.